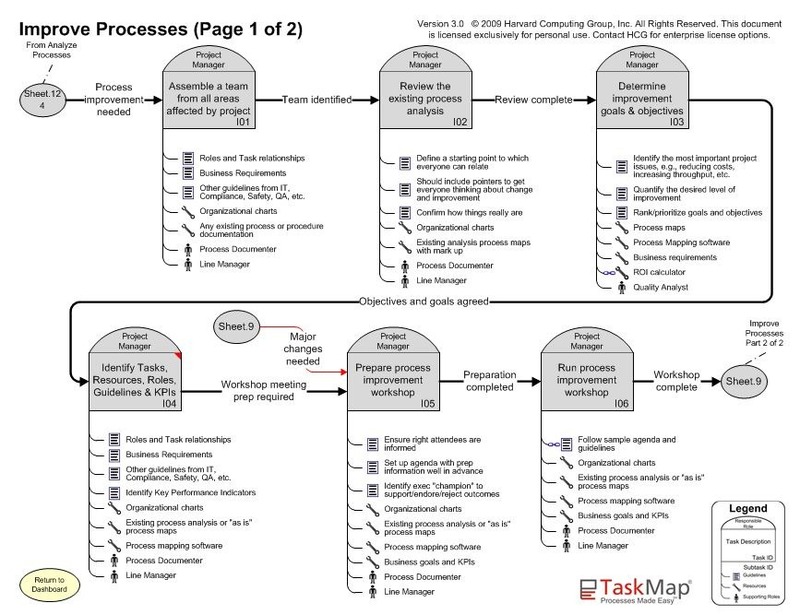 When your documented processes have been completely analyzed it is time to move onto the process improvement process so that you can take advantage of the items discovered during process analysis. The first step in initiating a process improvement project is to appoint a process improvement team. This team should be comprised of people for all the different areas that will be affected by the project. In order to build an effective team look at the Roles and Task relationships along with the business guidelines and determine whom are the best candidates to join the team. Other resources you might use to build your team: organizational charts and any existing process and procedure documentation. It is the role of the Project Manager along with the Process Documenter and Line Manager(s) to assemble the process improvement team. 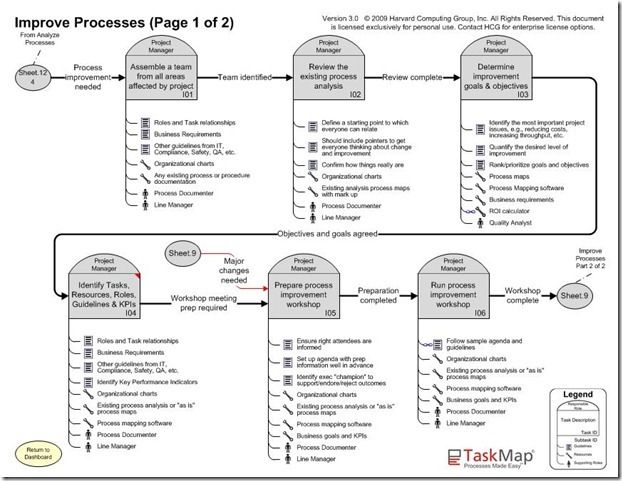 Once the process improvement team has been identified it is time to review the existing process analysis. The existing materials from the process analysis process will be a good starting point which all team members can relate to. This review should help getting the team thinking about change and process improvement. Once the process analysis materials have been reviewed, it is important to lay out the goals and objectives you are looking to achieve through your process improvement project. These goals should be ranked and prioritized from most important to least important. It is also important to quantify the level of improvement being sought for each goal.